I’ve tested hundreds of Bluetooth speakers but none of them could beat a pair of bookshelf Bluetooth speakers. 2 is obviously better than 1 when it comes to stereo separation. I’ve used the Creative E-MU XM7 in my apartment for a year and really love the product. However, the speakers are quite big and require an extra receiver to set it up. That’s the reason why I can only use them in my living room. Therefore, I was quite excited to try the highly-acclaimed Grace Digital GDI-BTSP201 speaker system. As compared to my Creative speakers, the Grace Digital speakers are significantly smaller and lighter. 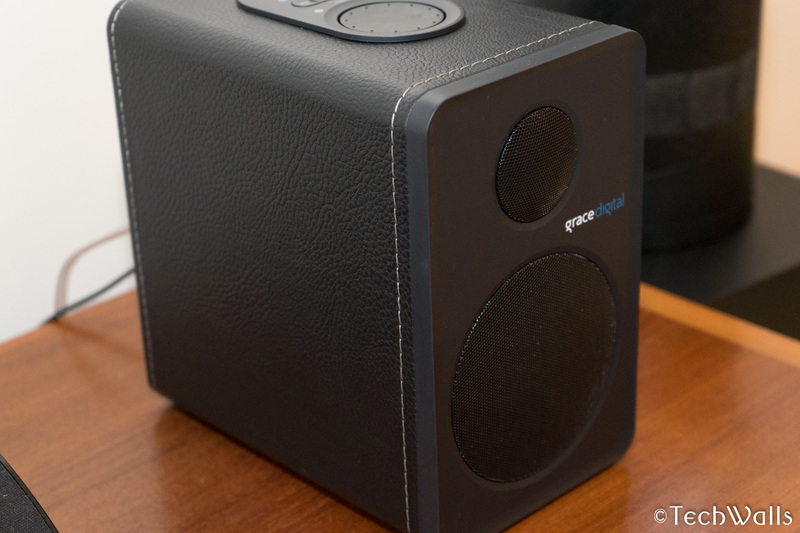 Specifically, each speaker measures 7.25″ x 7.25″ x 4.5″ and weighs just over 4 lbs. Inside the box, we have the 2 speakers, user manual, a power adapter, a speaker cable, and an RCA to Mini audio cable. This is a wireless system but you still need to connect the 2 speakers. Although the product was released 4 years ago, the design doesn’t look outdated at all. The speaker has a very sturdy build despite the fact that most parts are made of plastic. I’m very impressed with the leatherette casing with stitching lining on the outside. It brings a premium look and feel to the speakers. 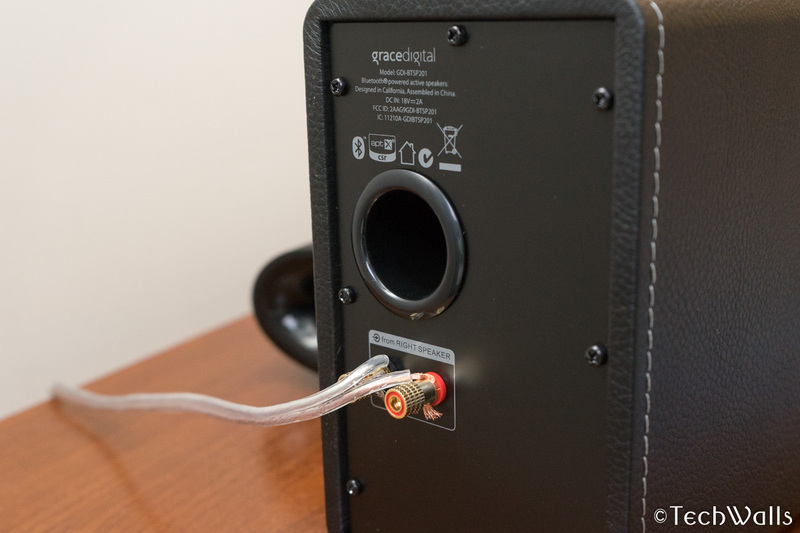 On the back of both speakers, we can see a 1.5-inch bass reflex port and speaker terminals. 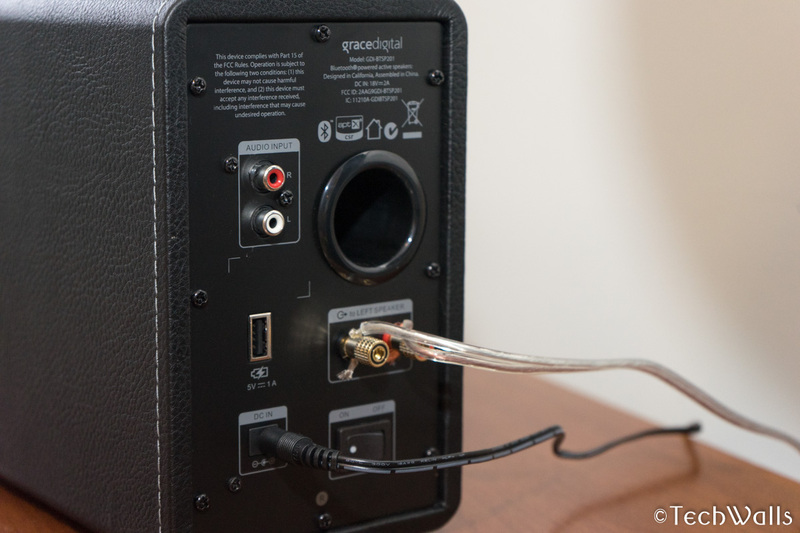 However, as the right speaker is the primary unit, we can see some more connections here like the RCA input, a USB port, a power port and a power switch. 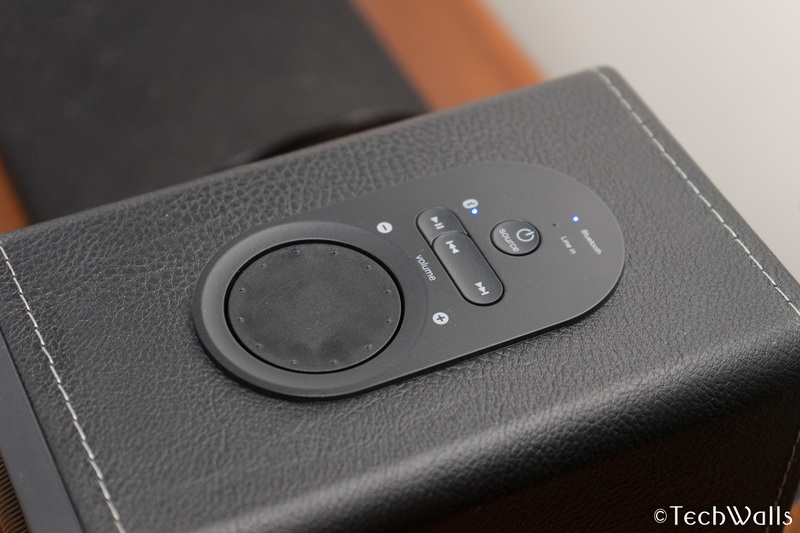 All control buttons are also located on top of the right speaker. You can find a volume wheel, a power button, track skipper, and Play/Pause button. It’s very easy to connect my smartphone to the speaker, unfortunately, it seems like the speaker reset the connection every time I turn it off. Therefore, I always have to reconnect my phone to the speaker when I turn it on again. This is really an annoying issue that I haven’t seen on any other Bluetooth speaker. 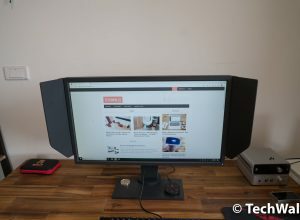 At the time of writing this review, I can get the Grace Digital speakers for the same price as the Bose Companion 2 Series III. And if I have to choose between the two, the Grace Digital is obviously a better choice. It does not only come with more features but also sounds a lot better. You can check out the sound test below. The Grace Digital speakers are not really powerful as compared to most other bookshelf speakers, however, it’s good enough for small apartments. I used them in my living room; they are absolutely loud enough for listening to music or watching movies. Besides, I appreciate that there is little distortion when I crank up the volume. The sound is very well-balanced and I just see that the mids are slightly recessed. 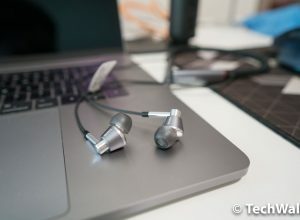 However, when you use the speakers on two sides of your computer, you can hear a more present and detailed mids since you sit very close to the drivers. The bass is not as deep and punchy as on bigger systems but it is still better than the bass on any portable Bluetooth speaker. Overall, I am quite satisfied with the performance of the Grace Digital speakers. 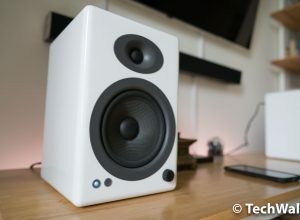 There is nothing to complain about the sonic characteristics since the sound is way above average as compared to other speakers at the same price range. The Grace Digital speakers have been around for years and I believe they won’t go away anytime soon. They sound great and come with an affordable price tag, so they easily earn my recommendation as a budget speaker system for audiophiles. 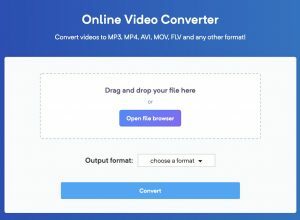 A great choice if you can live with the Bluetooth reconnecting issue.